Hello everyone. First of all I’d like to thank you all, because, although it’s my first time posting on this forum, I’ve read a lot and helped me creating my workflows. I’m working with images, and I have splitted (with splitter node) them into their RGB channels. Now I have the histograms, and somehow, i’d like to transform all that information into data. Can I do that? I am glad that the forum has been helping you so far, I am positive we can help you with this question too. With: "Now I have the histograms" do you mean the histogram view in the Image Viewer? If you want such a histogram in data, you can use the Feature Calculator node, when you select the Histogram Features feature set, you can let it create a histogram with any number of bins you desire. 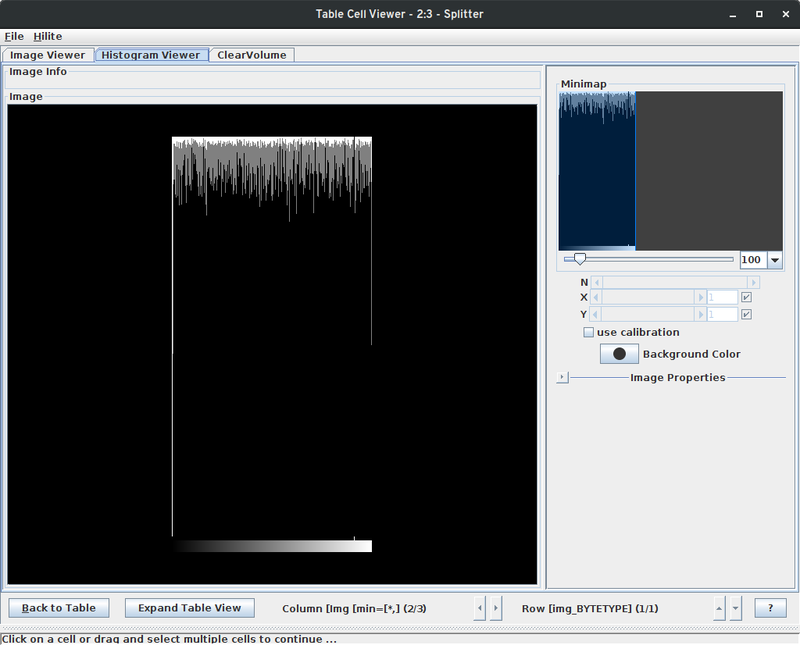 With the histogram view I mean the one you can see in the attached screenshot. - Why do we have like to histograms inside the same image? One darker than the other? 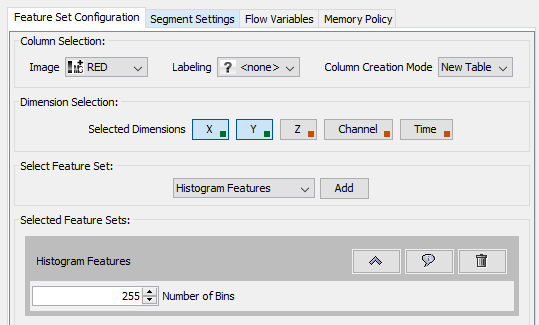 - Yes that setting looks correct to me, if you want a 255 bins histogram. - The black histogram is the histogram in absolute numbers, the grey one is log-scaled. My question now is, can I get a vector of the image but, instead of the histogram, of the value of each pixel? Should I use image to data raw node?